The dust has barely settled after Nexus stormed Port Harcourt with its latest ambassador Uriel Oputa for the Nexus Kitchen Cookout and Abuja is set to feel the heat. Nexus has no chill, except in their refrigerators, of course! 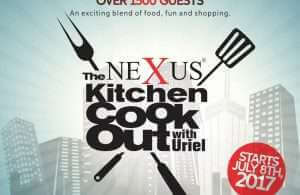 Abuja would come alive this Sunday as The Nexus Kitchen Cookout with Uriel takes over. The event will feature celebrity guests alongside Uriel and lots of other surprises from Nexus Appliances. Without a doubt, the event will be packed with lots of food, fun and freebies. 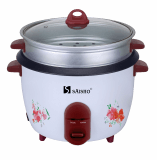 Participants also get to enjoy mind-blowing discounts as Nexus range of appliances such as gas cookers, refrigerators, freezers, microwaves, water dispensers and inverters would be sold at up to 30% discount at the event. So get ready Abuja! Save the date: Sunday July 16, 2017, Time: 3pm, happening live at Sky Lounge, Penthouse Saffire Plaza, Off Ademola Adetokunbo Crescent, Wuse 2, Abuja. 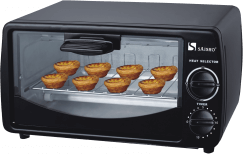 You can’t afford to miss this opportunity to go home with brand new Nexus appliances at unbelievable prices. See you there!